Hey there, careless readers! I'M BACK! Valentine’s Day is coming and I thought a new post was required. Whether you have a lover or not, I think of Valentines as a day to celebrate LOVE. Love for your friends, for your family, and for those who you care about. And what is best than celebrating it in style? My choice for you this time is Sketch, in Mayfair. I’ve been here many times and let me tell you, I never get tired of the place. 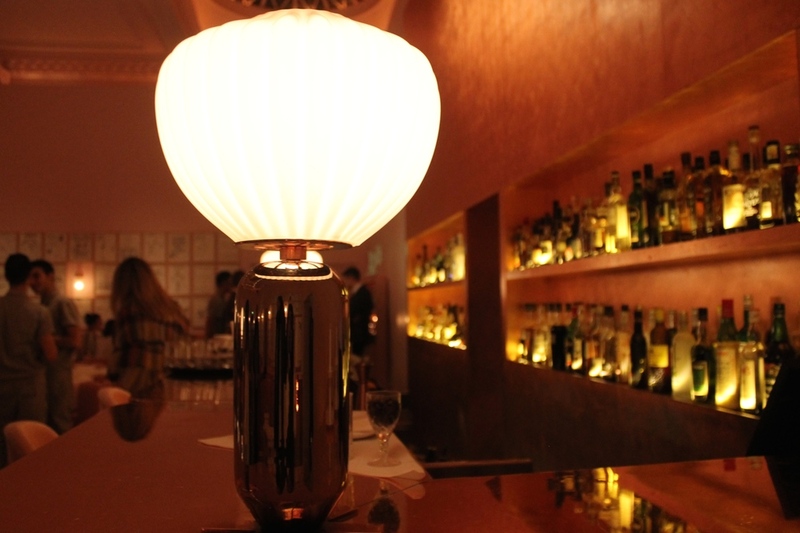 Decorated by the interior designer India Mahdavi, the multi-disciplinary hip restaurant (or shall I say art gallery?) 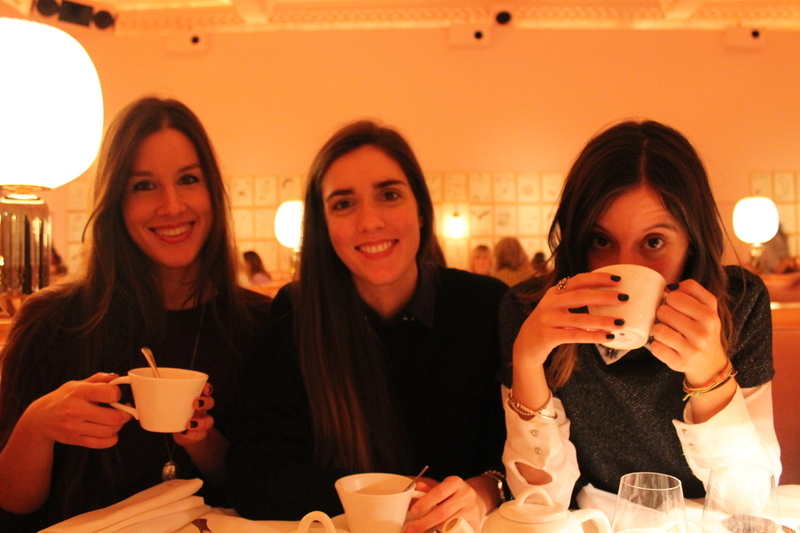 is the A-list favourite London spots . 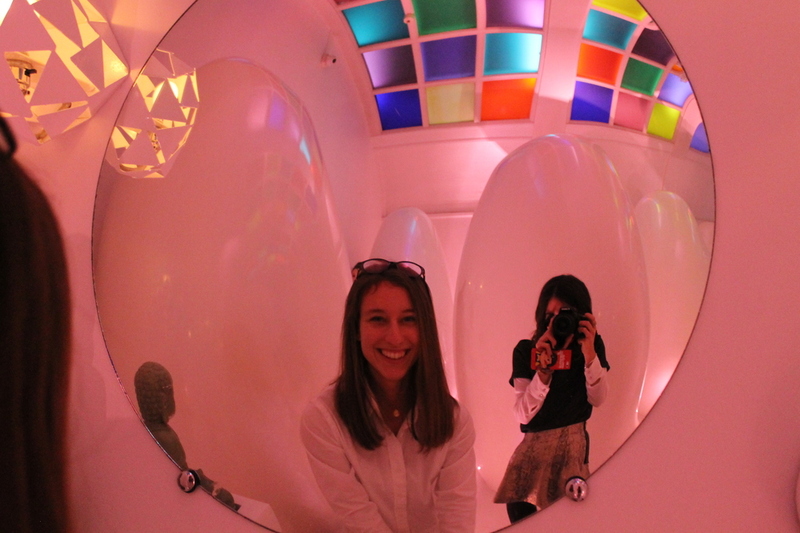 The space is divided in three big rooms (not to forget its infamous egg-shaped toilets): The Gallery, The Lecture Room & Library and the Parlour. And all of them with a very peculiar style. It’s hard to choose a favourite room but I guess if I have to I’d say The Gallery is probably the most different and coquette of all. 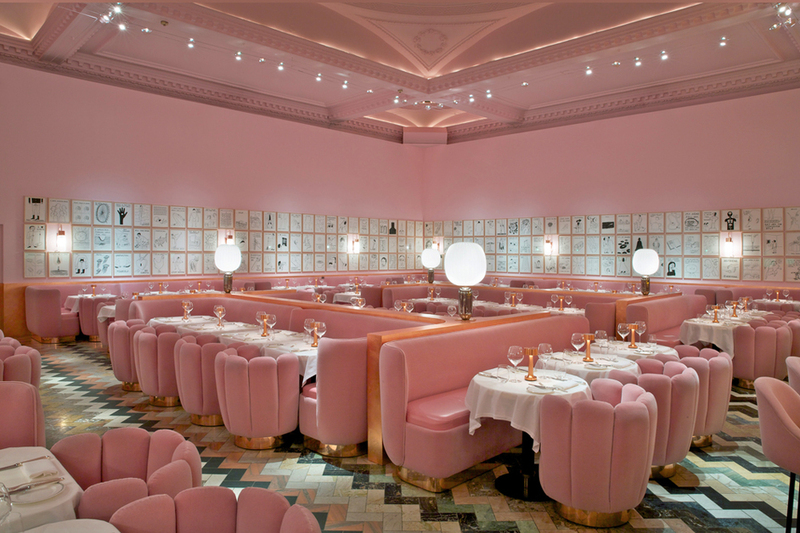 Its classic, simple and almost bourgeois design is sugar-coated in a pastel Ladurée-esque pink which invites a deliberately playful contrast with the witty art works created by David Shrigley, which are displayed all over the room. And I am sure those who have already been have stared at more than one of his drawings and wondered: what the hell was he thinking?. Mahdavi herself said Andre Balazs described the Pink Gallery as very Beverly Hills, a bit of Beverly Hills in Mayfair. And I find that description very aproppiate. In The Gallery you’ll be delighted with sweets. Whether you just want to have a glass of prosecco and some desserts or you prefer to induge yourself into some serious afternoon tea, this is the place. The Parlour works as a patisserie during the day and it turns into a bar after 6pm. A bit dark to my taste, but the oval structure and the darkness of the room gives a very intimate atmosphere, perfect for such an eventful day! As for the Lecture Room & Library, I guess there are no other words to describe it than MAJOR. Preppy and classy reigns in this room, where an incredible set of menus are served for lunch and dinner time. So there you go. Boom, plan made for you. Now you just need to make sure you call them asap or you stand no chance on getting a table. Oh and I forgot! In case you were wondering whether you would have to spend your month’s paycheck in here or not. Do not worry, you won’t! There are options for all sorts of budgets. From a 10 pound Tea & Scones Light afternoon tea, to the full range for 40 pounds (and more or less about the same for Lunch Set Menu), you'll be able to enjoy an amazing experience that it is Sketch. P.S: Some of the pictures have been taken by moi and some of them are courtesy of Sketch Website.